The following gift items are available for FAN’s Annual Fundraiser. The money raised will constitute the main source of funds for FAN’s 2014 budget. If you want to receive any of the following items, email the Item # that you want to Ellen@fluoridealert.org after you have made your donation. If you live outside of the United States, please add $5 to the item prices listed below. Thanks to the lovely Eleanor Krinsky of NYSCOF (who has served this cause for so many years and has been an inspiration to all who have known her and worked with her), we have available a number of books available for aficionados at $40 each. 7 DVD: Professional Perspectives on Water Fluoridation. FAN’s most popular DVD. 28:47 minutes. 8 DVD: The Fluoride Deception. An Interview with Christopher Bryson. Article in The Saturday Evening Post, May 19, 1956. Magazine is in good condition with a Norman Rockwell front page of child being fitted for eyeglasses. Page 32 continued to 142-144. Tons of advertisements. 15 BOOK: A Struggle With Titans. 1965. 383 pages. Hardback with original dust cover. Indexed. EXCELLENT book and in good condition. 16 BOOK: A Struggle With Titans. 1965. 383 pages. Hardback without dust cover. 17 BOOK: Fluoride. The Freedom Fight. stopped fluoridation in The Netherlands. Published 1996 in Australia. 333 pages. Indexed. 186 pages. Published in Australia 1997. By Gladys Caldwell and Philip E. Zanfagna, M.D. 1964. 128 pages. Published by G.P. Putnam’s Sons (New York). Hardback. 22 MAGAZINE: New Facts on Fluoridation by John Lear. 24 BOOK: The Fluoride Question. Panacea or Poison? 1975. 176 pages. Indexed. Hardback. Dust Cover. 25 BOOK: How Dangerous is Fluoridation? 1971. 158 pages. Indexed. Published in the U.S.A.
26 REPRINT: Proceedings. Fourth Annual Conference of State Dental Directors with the Public Health Service and the Children’s Bureau. 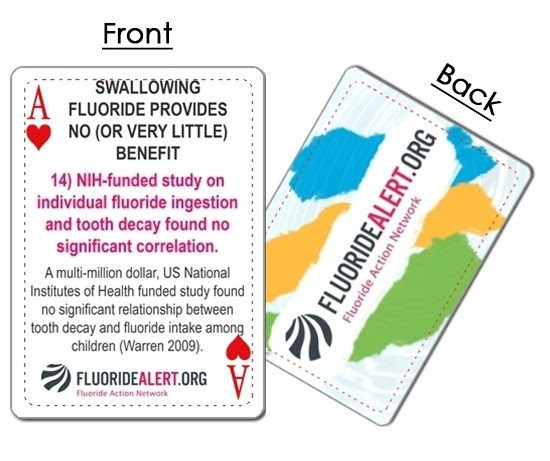 Fluoride Poisoning: Is fluoirde in your drinking water -and from other sources – making you sick?